Four Seasons Hotels and Resort, the top luxury hospitality company in the world today, has revealed their private jet itineraries for 2019. Their custom-designed state-of-the-art Boeing 757 offers an unparalleled exclusive experience for which the Four Seasons name is recognized for. Go aboard the custom aircraft for a personalized adventure with a dedicated team that takes care of all your needs ranging from transport to accommodations. The hefty price tag for each of these private luxury adventures, affords you the ability to immerse yourself in new cultures, take part in experiences normally unavailable to the general public, authentic local insight, luxury accommodations in Four Seasons around the globe, and five-star dining just to name a few. The attentive team makes it their mission to ensure, as an official resident of the world traveling from one Four Seasons hotel to another, that you have an absolutely seamless experience. You can be rest assured you will sleep soundly in the same custom bed every night so you wake up fully reenergized for the next day’s exciting explorations. One of the thrilling 2019 adventures announced is the Timeless Encounters which takes place from September 17 to October 10, 2019. 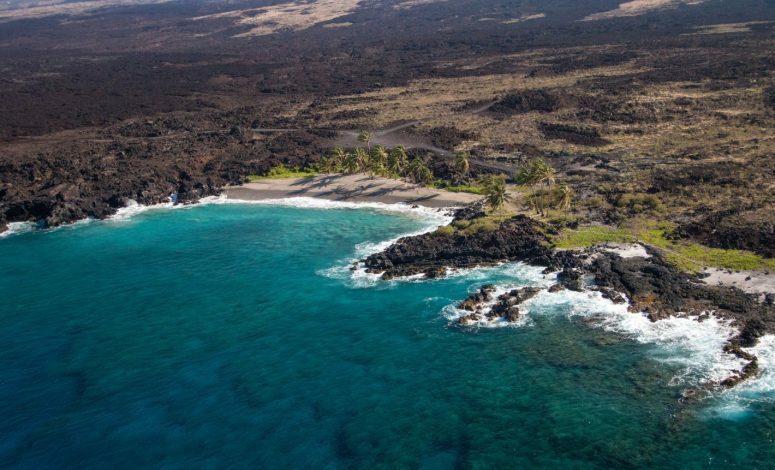 The trip begins in the lush setting of Kona, Hawaii to explore the natural beauty and tranquility of the island. Radiating authentic Hawaiian luxury, guests will stay in the Four Season Resort Hualalai made up of intimate court story bungalows. This Big Island resort has a private outdoor lanai attached to each guest room, seven unique swimming pools and is home the the famous Jack Nicklaus 18-hole oceanfront golf course. While on the Big Island, you will be able to choose experiences, and of course change your mind last minute if you wish to select experiences that resonate with you such as watching the sun set at Mauna Kea on the volcano, a private helicopter tour over overlooking the Kohala coastline and landing on the Pohue Bay, hiking to picturesque waterfalls and touring coffee farms with the famous Kona coffee. Brynn Foster, recent guest and owner of Voyaging Foods which provides the Four Seasons with gourmet Hawaiian ancestral food products, said “ I have stayed at the Four Seasons many times. I have recently returned from their Wine and Food event where there were several days of world famous chefs and wine on different breathtaking spots of the beautiful resort. It was a great way to see the entire resort and try foods prized in the area.”Like Brynn, guests at the Four Season’s Hualalai always have unforgettable experiences that keep them always coming back for new adventures. Many people also end up falling in love with the lifestyle so deeply they decide to call Hualalai their home. Properties such as this open-concept Hualalai Resort home, perfectly capture the essence of Hawaii’s nature and blend it with breathtaking architecture making for a truly exclusive and luxurious spot in paradise. After visiting the Big Island, guests will continue the journey across four continents during this three-week adventure. Activities will include a water purification ritual in Bali; a snorkeling safari with blacktop lagoon sharks in Bora Bora; a trip to admire the detailed architecture of the Taj Majal; and a personal welcome from Prince Willian Lobkowicz in his family’s 16th-century home for a gala dinner in Prague. Embark on your next adventure with the Four Seasons private jet to experience insider access like never before in some of the world’s most captivating destinations. No matter which of all the carefully curated itineraries you pick, you will receive an experience tailored exclusively to you. Prepare to create everlasting memories you will cherish forever.